“Research shows that spanking corrects misbehavior. But it also shows that spanking does not work better than other modes of correction, such as time out, explaining, and depriving a child of privileges. Moreover, the research clearly shows that the gains from spanking come at a big cost. These include weakening the tie between children and parents and increasing the probability that the child will hit other children and their parents, and as adults, hit a dating or marital partner. Spanking also slows down mental development and lowers the probability of a child doing well in school,” Straus says. Spanking children slows cognitive development and increases risk of criminal behavior, expert says. “The Primordial Violence” (Routledge, 2013) shows that the reasons parents hit those they love includes a lot more than just correcting misbehavior. It provides evidence on the effect spanking has on children, and what can be done to end it. The book features longitudinal data from more than 7,000 U.S. families as well as results from a 32-nation study and presents the latest research on the extent to which spanking is used in different cultures and the subsequent effects of its use on children and on society. How do we discipline our kids? There are plenty of violent prisoners in penitentiaries who were disciplined as children with spankings, beatings, screaming and neglect. Though I had my children take “time out” sometimes, now I question the popular use of that as a disciplinary technique because it links quiet time alone with punishment. When children, even toddlers, are given explanations for rules, allowed to voice an opinion, and even to disagree, they become more skilled at exercising their power, their social “muscles,” when they relate to others and learn to cope with problems by reasoning out the right responses. It may take more time to talk than to hit, but, in the long run, the lessons you are teaching will be more far-reaching and will develop a broader range of social skills in your child. Use reasoning to help your child understand the concepts of restitution and making amends, to understand that apologies don’t automatically excuse them from out-of-control behavior and that words can hurt as much as punches. Many research studies have concluded that the use of reasoning and discussion as disciplinary tools is one of the most effective ways to foster a child’s positive moral development. One inventive mother went to a nature store and purchased several small rocks with words carved on them such as: sisters, brothers, family, love, kindness, peace, truth, forgive, gentle, cooperation, and so on. When one of her children misbehaved, she chose one of the rocks and gave it to the child, explaining the word and what it meant in this particular situation. She repeated the word several times, having her child repeat it back and explained its definition. The child was the led to his room or a “safe place,” and asked to think about what that word meant to him for fifteen minutes. Then his mother would retrieve him and they would discuss the word. In this way, the child was not punished, but an “intervention” took place, which allowed the child to learn values and connect those values to his behavior. Doing things for children ins teach of teaching them, in steps, how to do it themselves. Explaining poor performance in school in terms of intelligence or inability, instead of effort or motivation. Explaining the cause of difficulty as internal (“You’re not good at that”) rather than external (“You can try harder next time and do better”). Girls are socialized to be more vulnerable to criticism and tend to interpret it as permanent and pervasive rather than temporary and external. The are more likely to explain difficulty as their fault, due to their character defects, whereas boys are socialized to attribute difficulty more to outside circumstances or temporary lapses. So with your girls be especially conscious of explaining, when disciplining, that when they’ve done something wrong it does not mean there is something wrong with them. Explain that wrong behavior is something that is temporary, related only to the subject at hand and is something that can be changed. Remember also that we all need to feel we have some control over a situation and/or our feelings about it in order to develop resilience and resistance to adversity. Helplessness robs us of resilience. Tai Chi’s “listening power” can be used to reason with your kids at any age. In this practice, you stay with them and feed back to them in your own words what you hear them saying about something they have just done, felt, or experienced, from their point of view. Stay with them long enough to be able to act like a mirror, helping them reason their way to the conclusion that delineates right from wrong. You can help them “be their own boss,” and evaluate their own feelings and actions. You can help them see how consequences are tied to actions, and how, if they have done something wrong, they can make amends with dignity. At first you may sometimes have to take the role of teacher and guide them firmly through this process. When you do this, try to refrain from filling in silent spaces with lectures. When your feedback is wrong, they will let you know. Be patient and ask them with sincerity to explain again what they mean. Try to be alert to whether your child is hearing what you are saying the way you want her to. If you feel a negative reaction, you can say, “I’m not sure I said that right. Let me try again.” Or, “Did I say that in a way that didn’t feel good to you?” Again, communicating respectfully with your kids help them learn respectful communication and empowers them to take responsibility for themselves and the way they communicate. You are laying a solid foundation for their future relationships, so it is definitely worth the time. Practicing Empowerment gives us the ability to recognize that each child is entirely unique, with his own personality, needs, and thresholds. So parenting has to be tailored to the individual. This means there are very few rules that everyone must follow, and the few rules there are will be subject to change from time to time, with the child’s involvement. New rules may be put in place and old ones deactivated. Because there is open communication, the children understand that a rule for a toddler may not apply to a seven-year-old. Things are explained, not just declared. When a child feels he has been respected enough to be a part of the rule-making process, he has a stake in the household and is more likely to follow the rules. 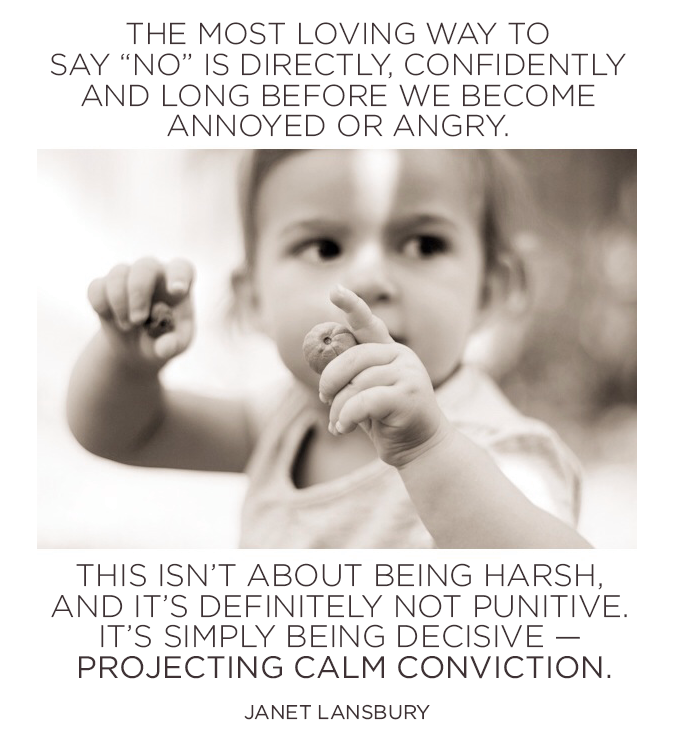 We want to try, as much as possible, to encourage and allow our children to express and use their power appropriately, without overpowering or disempowering others in the process. We want to work in partnership with our children and teach them to be in partnership with others. If we are to do this, we have to learn to do it ourselves. Babies and toddlers rely on their parents’ and caregivers’ reactions to learn how to respond to uncertain situations. They observe their caregivers and learn about their environment through indirect experience. If a child leaves toddlerhood without trust in his caregivers and a healthy sense of his individuality and his personal power, problems can arise later on in adjusting to social situations. Privacy is an important part of Empowerment. Each child needs things his or her own that no one else, not even Mom or Dad, is allowed access to without permission. Knocking on doors and requesting permission to enter respects privacy. Manners such as “please” and “thank you,” “may I,” “good morning,” etc., practiced consistently by parents and taught with love from infancy, help reinforce dignity and respect for oneself and for others, an important part of Empowerment. Previously I discussed choice making, another crucial aspect of Empowerment. Use every opportunity you can to help teach your children, 1) that there are many choices in any situation; 2) which choices lead to health and happiness, feeling of self-respect and dignity; 3) that they do not have the right to make choices for others; and 4) the consequences of choices can be far reaching. There are endless opportunities for discussion of these topics. Television shows and/or news stories are filled with them. Point out what came before an act of violence or self-destruction, and ask kids what other choices that person may have had. Underscore the idea that we always have choices and can make nonviolent, life-enhancing choices in every situation. Dealing with food gives us plenty of opportunities to learn about choice. When my kids were little, I would let them have a sugary treat, and then later, when they got grouchy and mean, I’d point out the connection. Then I would give them a protein snack (even just a spoonful of cottage cheese) and their dispositions would radically improve. I’d point out that it was the protein making them feel better. Eventually, they became aware thane of their options when feeling grouchy was to have some cottage cheese, nut butter or other protein, and they would feel better. They also knew they might feel jittery and bad if they chose sweets. My son, of his own volition, stopped eating chocolate altogether because he hated the “hyper” way it made him feel. He knew this wasn’t the case for everybody; it wasn’t a value judgment.The choice was purely his, from his own experience. I helped him discover the connection, and he took it from there. Be sure to share your own choice-making dilemmas with your kids. As they get older, ask for their opinion. Let them know clearly that you are making your own decision, but you are interested in what they think — that way they won’t feel responsible for your decisions. Then tell them what you decided and how you came to it. Show them how you get more information when you feel you don’t have enough to make a good decision. Always maintain your dignity in the role of parent, and your own personal power. It is a huge mistake to turn that power over to your kids. They want you to have already figured out some of this! 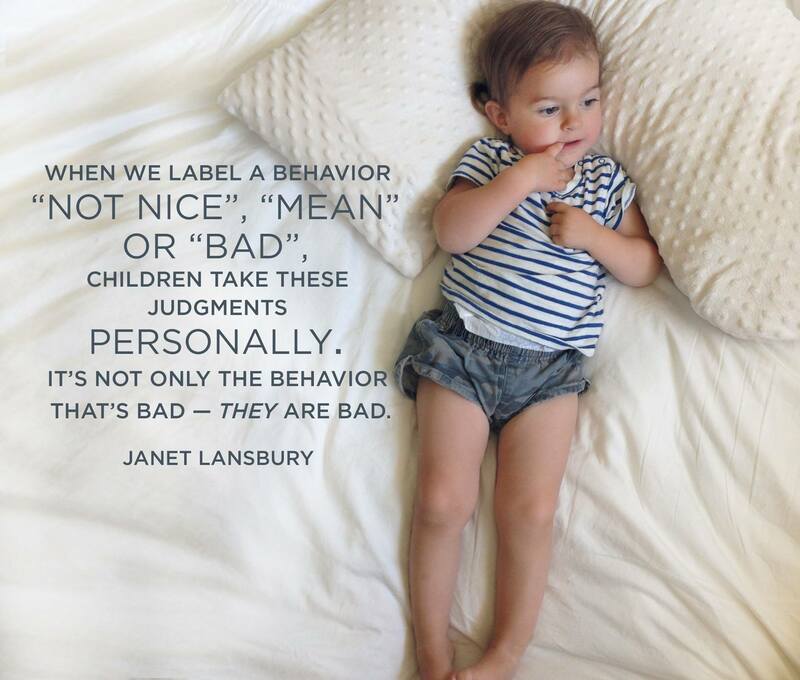 They need a strong model to show them how to make appropriate choices and to point out the consequences to them. Have the older children help take care of the younger ones. I’ll never forget how common it was in India to see a nine-year-old with a baby on his hip, and how rare it is in Western cultures for siblings to “mother” one another. This can be taught in many ways, and changed as the children grow older. An older child can massage a baby. It helps them bond and helps the older child realize this new being is a real person, a brother or sister, to be loved and protected. They can imitate your techniques, but keep it simple, with easy rubbing motions. They love getting massage oil on their hands and feeling grown-up in the way they care for the baby. Older children can push the baby in a stroller, pull a wagon with a toddler in it, (with supervision, of course), help pick out baby items at the supermarket, or help feed the little ones. As a baby grows, the sibling bond becomes stronger, the baby is more fun to play with, and they become both friends and rivals. I suggest having fairly strict rules in place about hitting, such as “in our family we never hit each other.” This statement of rules should always be given with “sinking power” — first ground yourself, relax, get powerful from your very core, and deliver the directive, eye to eye, in a way that says it is non-negotiable. This can be a powerful message that sets the stage for nonviolent conflict resolution later on. 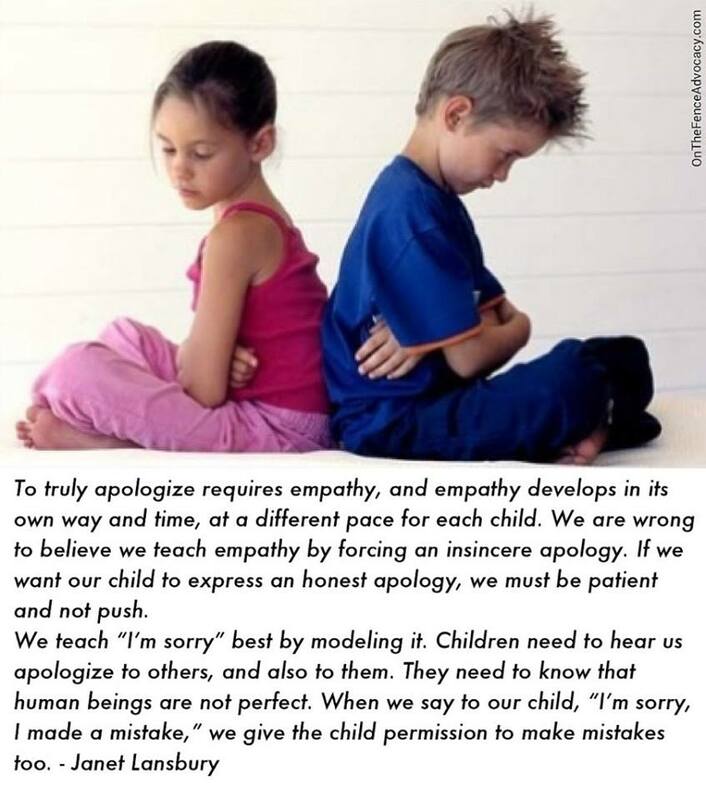 Teaching children to respond with empathy to a younger child’s distress helps them learn to behave more selflessly later on. You can extend this outside the home, and have children help in charitable activities that have a direct and positive impact on those in need, such as visiting the elderly, making deliveries for a food bank, and raising money for charitable causes. Research has shown that children who learn to care about others and are involved, even in small ways, in helping others in need, are at a lower risk of developing depression later. Children who learn to be empathic (to feel another’s pain and want to help them) — and learn to stand up for what they believe — perform better in adult life in their work and social lives. On the other hand, kids who are raised being disciplined by physical violence, force, humiliation, embarrassment, or withdrawal of love grow up having great difficulty feeling compassion for others. Every man who batters his wife has a skewed view of his actions; he usually believes she deserves it and it is “for her own good” (this also goes for parents who beat their kids). It is minimized in his mind because when he saw it done as a child, or when he was a victim of violence, he was told it was not abuse, it was discipline — or else he was lied to — “Mommy fell and broke her arm.” Most abusers don’t even realize their behavior is antisocial or wrong because overpowering and disempowering control was so normal in the homes of their childhood. Using force, physical punishment, lectures, and tirades does not empower; it means you are stuck in the yang side of the yin/yang balance. Your children will then inherently try to balance you by either yielding too passively and losing their own power, or by resisting you to maintain their own power. The predominant style of our grandparents’ generation — “You had better . . . or else!” — is outmoded. It will not only block you from using this principle, it will disempower you, for eventually your children will laugh at you, knowing they were born with more internal power than you will probably ever have in your lifetime. This is the secret to raising children in the new millennium: understanding that these kids are coming in with more innate knowledge, greater power, more intensity, and more ability to keep pace with the speed of the new age than you have. They will be dependent on you to walk your talk — to model, not just tell them, what to do. They depend on you to be honest, for they have even better radar for hypocrisy than we did when we were young. If and when you must take a stand, you must do so with great deliberation, grounding yourself in principles (using “sinking power”), so that the result is respect for you as an elder. As your relationship becomes more healthy, interdependent )able to need others and respond to others needing you, appropriately), and respectful, the need for you to motivate and/or discipline your child decreases. Respect goes both ways. When I teach infant massage, one of the first things I teach parents, or help them to remember, is that infants are human beings and deserve respect. We have specific techniques we use to show babies that respect; we touch them respectfully and allow them the power to communicate what they want and don’t want so they see right away that they have power and are not just playthings with which their parents (or anyone) can do whatever they wish. Discipline conducted with respect does not distemper or overpower. The concept of obedience tied to ultimatums is not empowerment. It may get short-term results, but will end in long-term losses. Making too many choices for your children leads to a loss of empowerment, too. They become overly dependent on others — authority figures — to tell them what to do, and why and when to do it. They lose the capacity to think deeply for themselves and to go against the norm when they need to. In Tai Chi, power is often thought of in terms of aggression versus non-aggression. But non-aggression does not mean passivity. 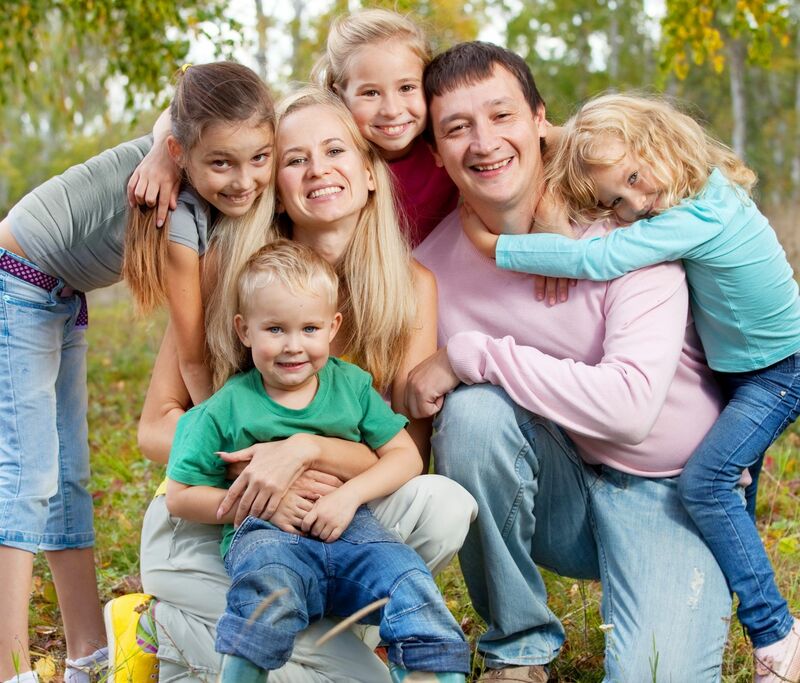 It means you do not constantly oppose your children, their ideas, wants, or needs. You follow them, with “listening power,” listening closely to them and mirroring back what they say from their point of view. When you do this, they learn to think more deeply. You respect their ability to come to sound conclusions and learn from their mistakes, and you communicate that respect through your words and actions. Abandoning your children to their own devices, their peers, and the world does not help them learn the right use of power. In fact, it pushes them into learning the wrong use of power, as we can see in the headlines every day. 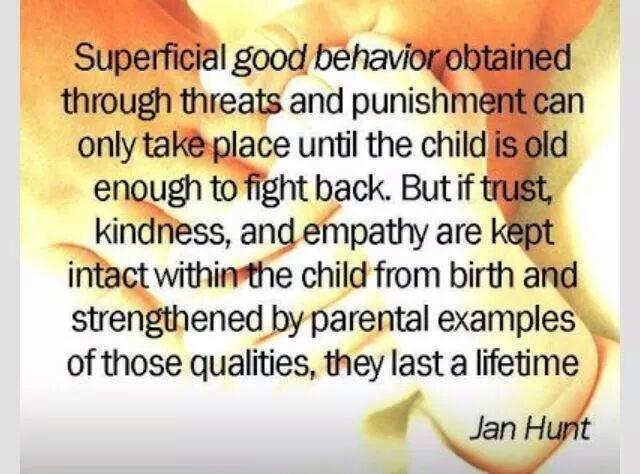 Many parents do not understand the difference between healthy separation and abandonment. Often parents are so disempowered themselves that when faced with a rebellious or challenging child they go into what I call the “Wizard of Oz Syndrome.” They act as if they are big, all-knowing, all-powerful, scary, and so on. This works temporarily. But eventually the child gets curious and pulls back the curtain to discover the parents’ show of power is all pulleys and levers, smoke and mirrors. 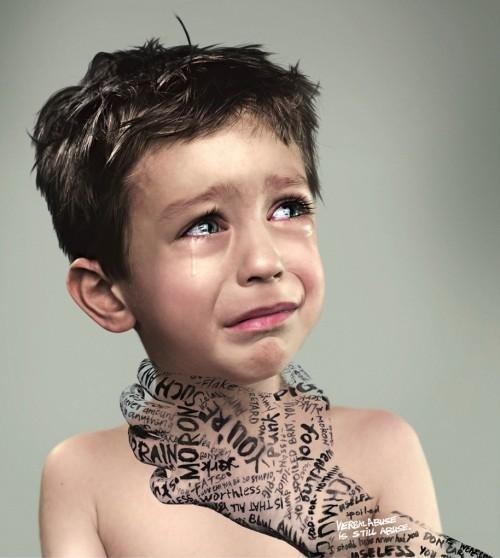 Respect disappears, and you’ve lost your leverage with your child. So don’t even try it. Get yourself straight first in terms of dealing with your own childhood, and continually work on your own use of power as you go along, showing the sharing with your child how you work on it, so when he or she becomes a parent, they will know what to do and will not resort to techniques that don’t work. To help your children learn how to use their own personal power, you must be able to access yours and use it on a daily basis. Principles One and Two, relaxing and slowing down, help you begin to get in touch with the infinite power available to you, power that comes through the earth and is in the prana or vital energy all around you. As my spiritual teacher said, “The Force that guides the stars guides you, too.” That’s a powerful force. Showing your children the right use of power is simple. Set goals for yourself and take small steps toward them every day until you reach them. Share the process with your children — it makes great dinner-table conversation. During the writing of my books, for example, I always talked about the process with my kids. I didn’t lead them to believe it was effortless. I shared how sometimes sit was really hard just to make myself write a paragraph that day , and that sometimes I knew that paragraph would end up in the trash! I emphasized persistence, and said that sometimes we have go backward in order to go forward, or re-route around an obstacle in order to achieve what we want. It wasn’t easy to remain patient and self-motivated, but it was worth it to me for the long-term satisfaction of having completed a book that might help others. Sometimes I’d read small parts to them and ask what they thought, and that would open up a whole new area of conversation. I tried to show my kids that, even though we often didn’t have a great deal of money, it was important to be contented and try to do the things we wanted to do. Going to India to see my spiritual teacher every couple years was important to me. So I would save and borrow to do whatever was necessary to achieve that goal. I explained to my kids that those trips fed my soul, and were therefore important to my long-term feelings of connectedness to the world, to God, and service to those in need (in India, service was part of what I did). When we were in financial crisis, my kids saw me take an extra job to bring in more money so they could continue going to a school that was important to them and to me, too. It was important for my own personal power and self-respect that I provided what I knew my children needed. Many challenging things happened to me during their childhood — I had serious illnesses and surgeries, and spent almost two years in bed due to virulent forms of diseases I contracted in India. I lost my second-hand car (that I had saved up for a year to buy) the day after I bought it, when someone without insurance borrowed it and totaled it before I had insurance. I knew how I handled these things would be an important example for my kids in the future, when unforeseen crises may come into their lives. I didn’t always do a great job of responding powerfully, but I tried. When I didn’t — when I behaved in a powerless way — I would find some way to laugh at myself, and to point out to my kids what I’d done and discuss other, better ways I could have responded. I fought my feelings of despair, anger, and helplessness, and tried to emphasize what I was learning: that things can be replaced, starting over is a part of life, and just because you are disabled you are not unworthy of love and life. These things were not always clear and obvious to them, but I do believe from talking to them now that they got these messages. I gradually got better and began to be able to meditate and do my yoga again. Eventually, I even found the car of my dreams. My children were able to see that there is no one way to act powerfully. Sometimes power comes from a very quiet, compassionate, seemingly “weak” looking place. For some people, it looks like a big, muscular, fighting spirit. For others, it looks like a small, serene, compassionate, redemptive heart. Mother Teresa had tremendous power. My kids are now adults with their own children. I have been able to observe them using and teaching the use of power. It gives me great joy to see them parenting in ways that are respectful, healthy, and empowering. To find your own sense of power it is important to learn to listen to your inner voice and to follow it, regardless of what others tell you. You may seek out the input and advice of others with more experience, but ultimately the only way to increase your access to your own power is by relying on it and respecting it, eagles of how it looks in your life. When your power comes from the infinite source of power — the Tao or God or the Force — it is right, good, clean, and clear. Do whatever it takes to stay connected with this aspect of your being. You will need it over and over again, throughout your entire life. Backtalk is Communication…LISTEN | Little Hearts/Gentle Parenting Resources. With more than 90% of parents admitting to spanking or otherwise physically punishing their children at least occasionally, mainstream American parenting can certainly be defined as punitive. If you go to the library or browse the shelves at Barnes & Noble or check out Amazon’s bestsellers in the parenting genre, you will find a predominance of popular, punishment-based, obedience-focused parenting guides. WAFF Investigates: Tough parenting – WAFF-TV: News, Weather and Sports for Huntsville, AL.